Indie Retro News: The Bitmap Brothers Collection - Amiga CD32 owners prepare to drool! 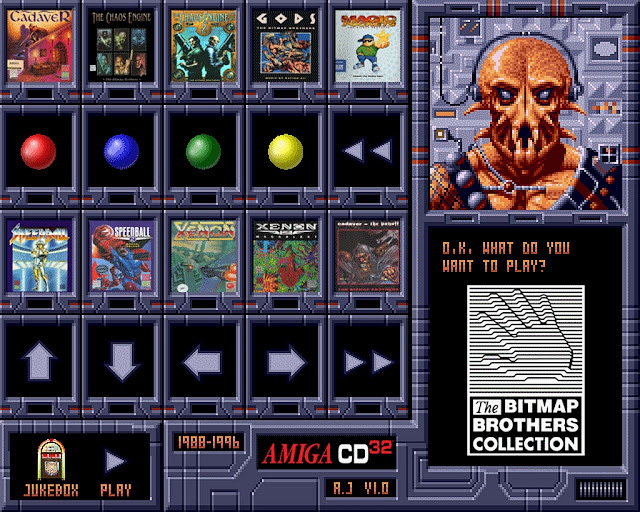 The Bitmap Brothers Collection - Amiga CD32 owners prepare to drool! Someone call the Doctor as I'm about to faint, as AmigaJay has just released possibly the best Amiga CD32 collection for your retro gaming enjoyment. 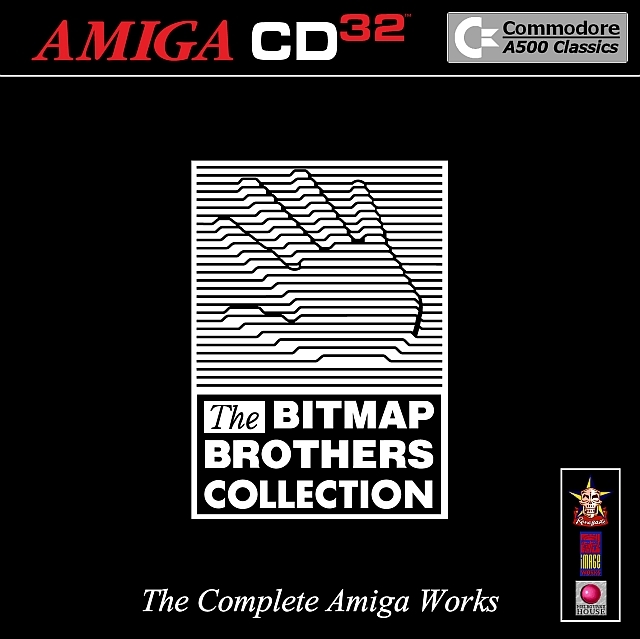 This is none other than ' The Bitmap Brothers Collection ', The complete Amiga works from one of the greatest developers of our generation; The Bitmap Brothers. Games such as Cadaver, Cadaver - The Payoff, The Chaos Engine, The Chaos Engine 2, Gods, Magic Pockets, Speedball, Speedball 2, Xenon and Xenon 2. That's hours and hours worth of entertainment, from adventuring to shoot em ups, you can do no wrong with this release! All of these games are from the Amiga 500 and have had specially updated controls for the CD32 pad, which means games such as Cadaver with its top down view point and puzzle solving experience, is playable for the first time without a boring keyboard :p. The only down side according to Amiga Jay, is the Speedball 2 game. As it's still not perfect and runs directly from WHDLoad , meaning it will flash loading in-between matches, hopefully in time a CD32load version will become available to update this pack with. Amiga CD32 - The B.B. collection from Per-Ola Eriksson on Vimeo. The download contains the game ISO, Cover Art and Read Me (which tell you everything you need to know about controls and credits. What an incredible collection release, if not the best on Indie Retro News and what's more, it's downloadable from the link below!